We've got the scoop on 8 great celebrations to attend this season. In Southern Indiana, we don’t need an excuse to put on a festival. We celebrate everything from persimmons to limestone. Mix that love of celebration with fall color, and we have the perfect reason to hit the road. “Most festivals are about celebrations of culture, of life, or something that’s unique in their community,” says Douglas Weisheit, Indiana State Festival Association coordinator. We picked eight popular fall festivals this season for you to check out in the 812 region. Kick off fall festival season with a high-above look at the changing leaves across our rolling hills. What makes this event so special are the shapes and sizes of the 20 balloons. Take a tether ride for $10. All proceeds go to Riley Children’s Hospital, the Boys and Girls Club and the Kiwanis Club. This year’s theme is "Celebrating the past, embracing the future," which is fitting because it’s the oldest street festival in Indiana. Enjoy parades, live entertainment, carnival rides and even a pet parade. Where: Downtown Aurora, on 2nd and 3rd streets. 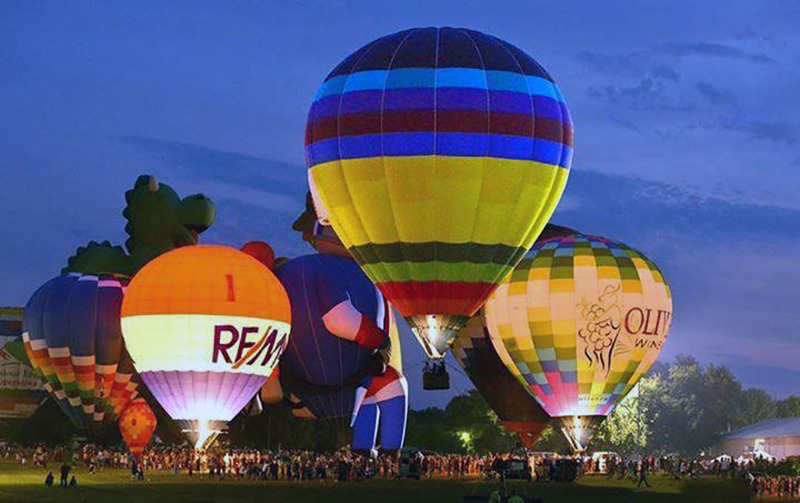 One of the largest and oldest festivals in Indiana, this nine-day event attracts hundreds of thousands visitors. It celebrates the small town of New Albany and features a three-day Pumpkin Festival, along with food, parades and the Miss Harvest Homecoming Contest. You might not find any hazelnuts or cashews, but we can promise you’ll indulge in a variety of fried food. The West Side Nut Club, a civic group, decided to put on an October festival in 1921. Now, 95 years later, the festival is so important that students get that Friday off as a “snow day.” It attracts over 200,000 visitors, and events include parades, rides and 126 booths. This small-town festival celebrates one of fall’s staples: apples. Don’t miss the apple-baking contest, Apple Festival 5K, a tractor pull, a parade and a craft show displaying art from Southern Indiana. Canal Days began 41 years ago when farmers came to Metamora to trade and sell their harvested goods. Today, over 70 shops and even more vendors continue this tradition with crafts, antiques, and food. Enjoy a weekend outside at the only functioning canal town in Indiana. Don’t worry: This family-oriented celebration has a friendly headless horseman who rides around town for Halloween. It also includes pumpkin- and apple-baking contests, a needle-in-the-haystack search for kids and live entertainment. Located on the historic grounds of the Old Schoolhouse, this old-fashioned two-day event celebrates the fall colors and scenic views of the Ohio River. Don’t miss the helicopter rides overlooking the hills and river, or the musical trio The Marlinaires.